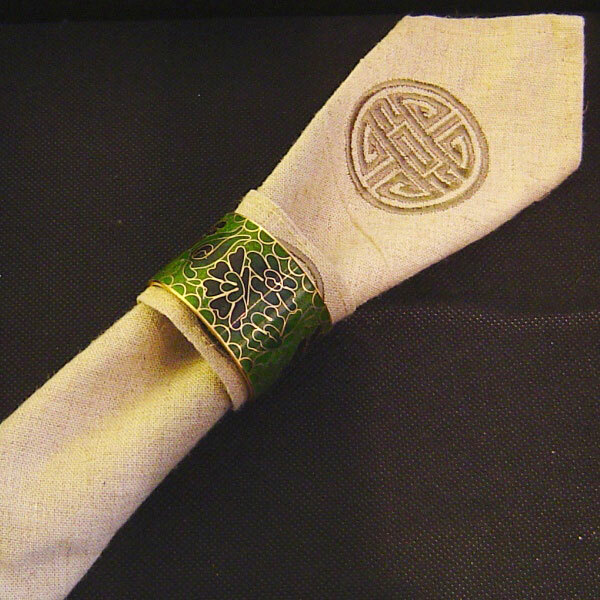 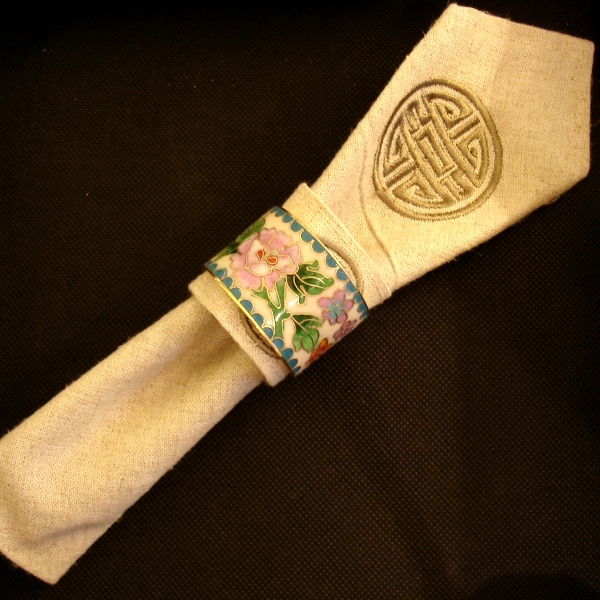 Cloisonné napkin rings with floral motif. 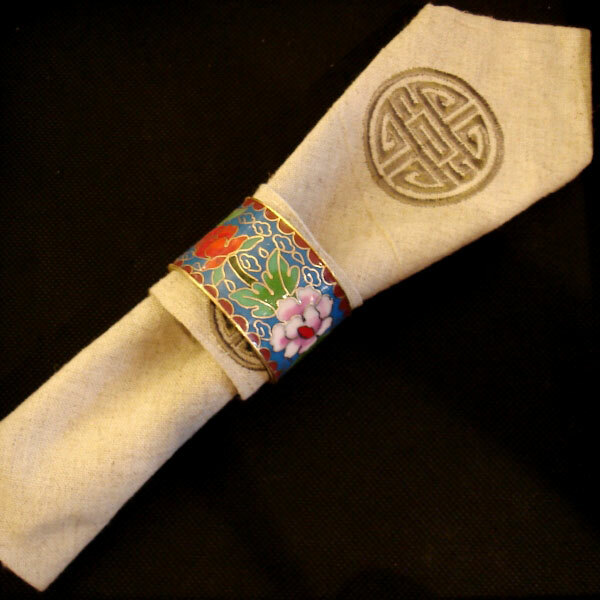 Cloisonné is a unique Chinese art form that originated in China's capital, Beijing, during the Yuan Dynasty (1271-1368). 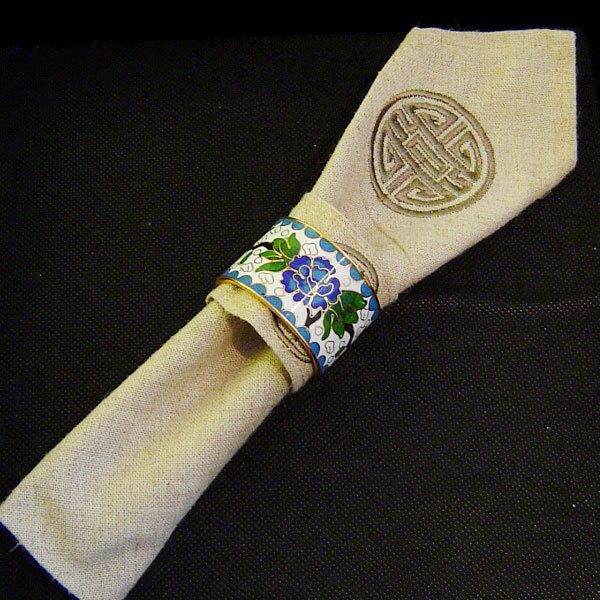 The process of making Cloisonné has multiple operations. 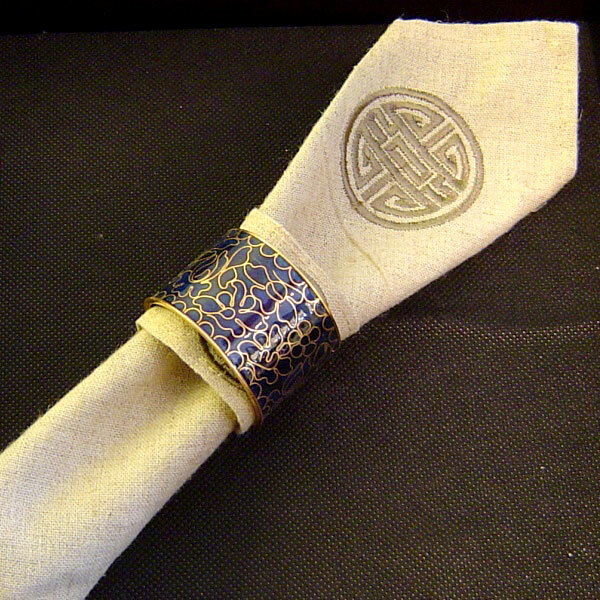 It is an artistic combination of metal working (brass/bronze) and enamel ware.